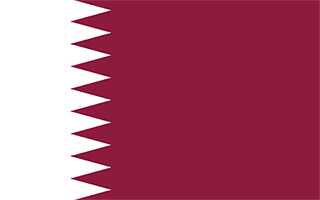 N 25° 16' 45" and E 51° 31' 20"
Doha in Baladīyat ad Dawḩah with it's 344,939 inhabitants is located in Qatar. It's the capital of this country. Local time in Doha is now 04:08 AM (Monday). The local timezone is named Asia / Qatar with an UTC offset of 3 hours. We know of 8 airports in the wider vicinity of Doha, of which 3 are larger airports. The closest airport in Qatar is Doha International Airport in a distance of 3 mi (or 5 km), South-East. Besides the airports, there are other travel options available (check left side). There are several Unesco world heritage sites nearby. The closest heritage site in Qatar is Al Zubarah Archaeological Site in a distance of 57 mi (or 92 km), North-West. If you need a place to sleep, we compiled a list of available hotels close to the map centre further down the page. Depending on your travel schedule, you might want to pay a visit to some of the following locations: Ar Rayyan, Al Wakrah, Umm Salal `Ali, Az Za`ayin and Al Khawr. To further explore this place, just scroll down and browse the available info. Let's start with some photos from the area. 8th FIG ART Gymnastics Challenge Cup - Doha 2015 - MAG - Floor Exercise Final. 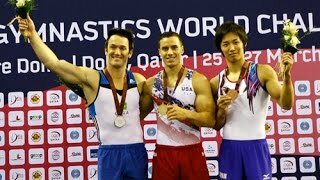 High Bar Final in FIG ART Gymnastics Challenge Cup Doha. 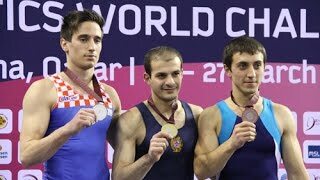 MAG Pommel Horse Final - 8th Gymnastics Challenge Cup - Doha 2015. 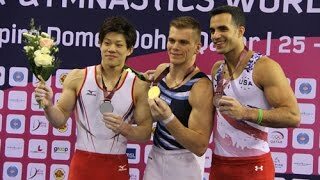 MAG Rings Final - 8th Gymnastics Challenge Cup - Doha 2015. Crowne Plaza, Doha Qatar. not the cheapest hotel in Doha but the best. CHI Al Shaqab Doha 2014: Startlists&Results http://www.chialshaqab.com/competitions/competitors-corner Videostream http://new.livestream.com/accounts/3455444/events/2819626/videos/44837279. Lunger: Barbara Zürcher CHI Al Shaqab Doha 2015: http://www.chialshaqab.com Video: http://new.livestream.com/accounts/3455444/events/3850224. Located at 25.312, 51.514 (Lat. / Lng. ), about 2 miles away. Located at 25.2674, 51.4842 (Lat. / Lng. ), about 3 miles away. Located at 25.2517, 51.5353 (Lat. / Lng. ), about 2 miles away. Located at 25.2587, 51.5205 (Lat. / Lng. ), about 1 miles away. Qatar SC Stadium is a multi-purpose stadium in Doha, Qatar. It is currently used mostly for football matches and home of the football team Qatar Sports Club. The stadium holds 20,000 people. In 2010 it hosted the Qatar Athletic Super Grand Prix, the first meeting of the 2010 Diamond League. Some of the matches from the 2011 AFC Asian Cup were held in this stadium. Located at 25.3172, 51.5124 (Lat. / Lng. ), about 3 miles away. Al-Ahly Stadium is a multi-purpose stadium in Doha, Qatar. It is currently used mostly for football matches. The football team Al-Ahli (Doha) play there. The stadium holds 20,000 people. Located at 25.2519, 51.5354 (Lat. / Lng. ), about 2 miles away. The Museum of Islamic Art is a museum located in the Qatari capital Doha and designed by architect I. M. Pei. The museum's interior gallery spaces were designed by a team lead by JM Wilmotte of Wilmotte Associes. Located at 25.2953, 51.5392 (Lat. / Lng. ), about 2 miles away. The Qatar National Museum opened in 1975 in a restored palace originally built in the early 20th century by Sheikh Abdullah bin Jassim Al-Thani. It served as his family residence and the seat of government for approximately 25 years. In addition to the original Amiri Palace, the former Qatar National Museum included a Museum of the State, a lagoon and a very popular marine aquarium. In 1980 the building won the Agha Khan award for restoration and rehabilitation of Islamic architecture. Located at 25.2881, 51.5481 (Lat. / Lng. ), about 2 miles away. The 10th FIFA World Youth Championship was held in Qatar from April 13 to April 28, 1995. The tournament took place in three venues in one city: Doha. Located at 25.2819, 51.5175 (Lat. / Lng. ), about 0 miles away. The Khalifa International Tennis and Squash Complex is a tennis complex in Doha, Qatar. The center is owned and operated by the Qatar Tennis Federation. It is the home venue of the ATP World Tour's Qatar ExxonMobil Open and WTA event Qatar Total Open. It formerly hosted the year-ending WTA Tour Championships in 2008-2010. It also hosted the tennis and squash competitions at the 2006 Asian Games. The complex opened on December 16, 1992, and the first Qatar Open was held in January 1993. Located at 25.3124, 51.5145 (Lat. / Lng. ), about 2 miles away. An Najmah is a settlement in Qatar, located in the municipality of Ad Dawhah. Located at 25.2667, 51.55 (Lat. / Lng. ), about 2 miles away. As Salatah is a settlement in Qatar, located in the municipality of Ad Dawhah. Located at 25.2833, 51.55 (Lat. / Lng. ), about 2 miles away. As Salatah al Jadidah is a settlement in Qatar, located in the municipality of Ad Dawhah. Located at 25.2667, 51.5167 (Lat. / Lng. ), about 1 miles away. As Sawq is a settlement in Qatar, located in the municipality of Ad Dawhah. Located at 25.2833, 51.5333 (Lat. / Lng. ), about 1 miles away. Mushayrib is a settlement in Qatar, located in the municipality of Ad Dawhah. Located at 25.2833, 51.5167 (Lat. / Lng. ), about 0 miles away. Wadi as Sayl is a settlement in Qatar, located in the municipality of Ad Dawhah. Located at 25.3, 51.5 (Lat. / Lng. ), about 2 miles away. `Abd al `Aziz is a settlement in Qatar, located in the municipality of Ad Dawhah. Doha College is a school located in Doha, Qatar. Doha College (or DC) was founded in the 1980s and originally taught only British nationals. It has a student body of over 1,200 people from 50 nationalities. Doha College's motto is Excellence for all, Excellence from all. The college celebrated its pearl anniversary in 2010. The institution continues to operate under the sponsorship of the British Embassy on a not for profit basis. Located at 25.2603, 51.4831 (Lat. / Lng. ), about 3 miles away. 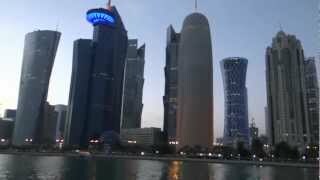 The Doha Corniche is a waterfront promenade extending for several kilometers along the Doha Bay in the capital city of Doha, the state of Qatar. Running parallel to the Corniche is Corniche Street, a main thoroughfare which connects Doha's emerging West Bay business district with the south of the city and Doha International Airport. Located at 25.2914, 51.5372 (Lat. / Lng. ), about 1 miles away. Bin Mahmoud is a neighborhood of Doha, Qatar. It is an important residential district. Located at 25.2783, 51.5136 (Lat. / Lng. ), about 1 miles away. Souq Waqif is an important souq in Doha, in the state of Qatar. Literally translated to "the standing market," this shopping destination is renowned for selling traditional garments, spices, handicrafts, and souvenirs. It is also home to dozens of restaurants serving cuisines from all over the world, as well as Shisha lounges. Although this market dates back at least a hundred years, it has been recently restored back to its original glory. Located at 25.2874, 51.5332 (Lat. / Lng. ), about 1 miles away. 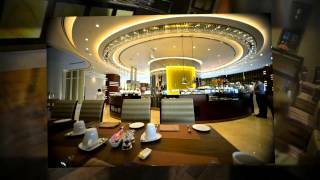 Al Sadd is a neighborhood of Doha, the capital city and the state of Qatar. The football team, Al-Sadd, and the Al-Sadd Sports Complex, is located here. The neighborhood is a home for hundreds of families and residences. Several malls are also found here such as the Centrepoint Mall and Lulu Centre. The famous Royal Plaza is also found in this vast neighborhood. Located at 25.2879, 51.502 (Lat. / Lng. ), about 1 miles away. The Qatar Museums Authority (QMA) is the peak body of museums in Qatar. The QMA was founded in late 2005 to manage the resources of all museums in the State of Qatar, to develop cultural institutions such as museums and galleries, and to provide an effective system for collecting, protecting, preserving and interpreting historic sites, monuments and artifacts. The QMA was the bid leader for Qatar's successful candidature to join the UNESCO heritage panel in 2011. Located at 25.2886, 51.5459 (Lat. / Lng. ), about 2 miles away. Newton International School is a school located in Doha, Qatar. Newton International School (also known as NIS) was founded in September 2007. Now there are four branches in the city of Doha, Lagoon being the most modern and master branch. NIS has a student body of over 1200 students from 50 nationalities. Newton International School's motto is An International Community of Learners, Striving for Excellence and Celebrating Success. Located at 25.2536, 51.5186 (Lat. / Lng. ), about 2 miles away. The ‘7’ sculpture is an 80-foot high sculpture built by American artist and sculptor Richard Serra and located in the Museum of Islamic Art Park, in Doha, Qatar. Unveiled in December 2011, it is the tallest public art piece in Qatar and the tallest Richard Serra has ever conceived. It is also his first sculpture to be showcased in the Middle East. Located at 25.2981, 51.5404 (Lat. / Lng. ), about 2 miles away. These districts belong to Doha. These are districts that are close by, but belong to a different city than Doha. These are some bigger and more relevant cities in the wider vivinity of Doha. Professional Scrum Master Certification Training Course In Doha, Qatar.